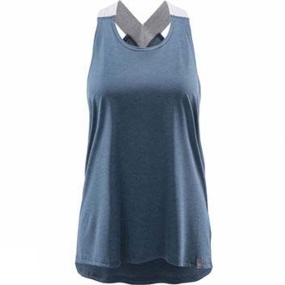 The Womens Ridge Tank Top from Haglof is made from a high wicking fabric, this tank is ideal for high pulse activities in warm conditions. It's Lava treated-a bluesign approved treatment that uses volcanic ash that keeps you fresh as you're sweating. Cool, stretchy, soft and a perfect fit for strenuous, hot activity.